An officer from the Egyptian Central Security Forces (CSF) takes aim at a crowd of retreating protesters as security forces disperse the Rab’a sit-in on August 14, 2013. (Cairo) – The systematic and widespread killing of at least 1,150 demonstrators by Egyptian security forces in July and August 2013 probably amounts to crimes against humanity, Human Rights Watch said today in a report based on a year-long investigation. In the August 14 dispersal of the Rab’a al-Adawiya sit-in alone, security forces, following a plan that envisioned several thousand deaths, killed a minimum of 817 people and more likely at least 1,000. The 188-page report, “All According to Plan: The Rab’a Massacre and Mass Killings of Protesters in Egypt,” documents the way the Egyptian police and army methodically opened fire with live ammunition on crowds of demonstrators opposed to the military’s July 3 ouster of Mohamed Morsy, Egypt’s first elected civilian president, at six demonstrations between July 5 and August 17, 2013. While there is also evidence that some protesters used firearms during several of these demonstrations, Human Rights Watch was able to confirm their use in only a few instances, which do not justify the grossly disproportionate and premeditated lethal attacks on overwhelmingly peaceful protesters. Human Rights Watch released a video showing the events as they unfolded in Rab’a Square on August 14, including first-hand accounts by witnesses and victims. The authorities have failed to hold even a single low-level police or army officer accountable for any of the killings, much less any official responsible for ordering them, and continue to brutally suppress dissent. In light of the continued impunity, an international investigation and prosecutions of those implicated are needed, Human Rights Watch said. States should further suspend military and law enforcement aid to Egypt until it adopts measures to end its serious rights violations. Human Rights Watch interviewed more than 200 witnesses, including protesters, doctors, local residents, and independent journalists, visited each of the protest sites during or immediately after the attacks began, and reviewed physical evidence, hours of video footage, and statements by public officials. Human Rights Watch wrote to relevant Egyptian ministries soliciting the government’s perspective on these events, but received no responses. 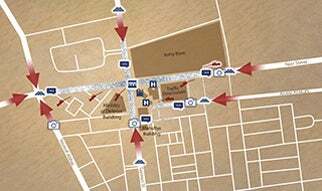 The report includes a detailed examination of the planning and execution of the dispersal of the protest at Rab’a al-Adawiya Square, where from July 3 to August 14, tens of thousands of largely peaceful Morsy supporters, including women and children, held an open-ended sit-in demanding Morsy’s reinstatement. Human Rights Watch used satellite photographs from one night of the sit-in, August 2, to estimate that approximately 85,000 demonstrators were in the square that night. On August 14, security forces attacked the Rab’a protest encampment from each of its main entrances, using armed personnel carriers (APCs), bulldozers, ground troops, and snipers. Security forces gave little to no effective warning and opened fire into large crowds, leaving no safe exit for nearly 12 hours. Security forces fired on makeshift medical facilities and positioned snipers to target whoever sought to enter or exit Rab’a hospital. Towards the end of the day, the central stage, field hospital, mosque, and first floor of Rab’a hospital were set ablaze, probably by security forces. They immediately fired tear gas and live fire. It was so intense; I can’t even describe it. It was not like the other times before, one or two at a time. It was raining bullets. I smelled the gas and immediately saw people being hit and falling down around me. I have no idea how many people were hit. We didn’t hear any warnings, nothing. It was like hell. Human Rights Watch documented 817 people killed in the Rab’a dispersal alone. Given strong evidence of additional deaths compiled by Rab’a survivors and activists, additional bodies taken directly to hospitals and morgues without accurate record or known identity, and individuals still missing, it is likely that more than 1,000 were killed in Rab’a. Police detained more than 800 protesters from the sit-in, some of whom they beat, tortured, and, in several cases, summarily executed, six witnesses told Human Rights Watch. Government officials have claimed that the use of force came in response to violence, including gunfire, by protesters. Human Rights Watch found that in addition to the hundreds of protesters who threw rocks and Molotov cocktails at police once the assault began, demonstrators fired on police in at least a few instances. According to the official Forensic Medical Authority, eight police officers were killed during the Rab’a dispersal. After fully dispersing the sit-in on August 14, Interior Minister Mohamed Ibrahim announced that his forces had found 15 guns in the square, a figure that, if accurate, indicates that few protesters were armed and further corroborates the extensive evidence Human Rights Watch compiled that police gunned down hundreds of unarmed protesters. Egyptian officials have tried to justify their dispersal of the Rab’a sit-in by claiming that it disrupted the lives of local residents, and provided a forum for incitement and terrorism and a site for demonstrators to detain and abuse opponents. However, the killing of 817 or more protesters was clearly disproportionate to any threat to local residents, security personnel, or anyone else. To the extent that the government had a legitimate security interest in securing the sit-in site, it failed to carry out the dispersal in a way designed to minimize the risk to life. Lethal force should be used only when strictly unavoidable to protect an imminent threat to life – a standard that was far from met in this case. On July 5, soldiers gunned down five protesters outside the Republican Guard headquarters in eastern Cairo, including one who was simply attempting to place a Morsy poster on a fence outside the headquarters. That killing was captured on video. On July 8, army and police forces opened fire on crowds of Morsy supporters at a peaceful sit-in outside the Guard headquarters, killing at least 61. Two police officers were killed. On July 27, police opened fire on a march of Morsy supporters near the Manassa Memorial in eastern Cairo, killing at least 95 demonstrators. One policeman died in the clashes. On August 14, security forces dispersed the sit-in in al-Nahda Square, killing at least 87 protesters. The clashes resulted in two police fatalities. On August 16, police opened fire on hundreds of protesters in the Ramses Square area of central Cairo, killing at least 120 demonstrators. Two police officers were killed. “It is appalling and heartbreaking that the hopes of so many Egyptians following the 2011 uprisings faded into the bloodshed and carnage of last year’s mass killings,” Roth said. Crimes against humanity consist of specific criminal acts committed on a widespread or systematic basis as part of an “attack on a civilian population,” meaning there is some degree of planning or policy to commit the crime. Such acts include murder, persecution on political grounds, and “other inhumane acts of a similar character intentionally causing great suffering or serious injury to body or to mental or physical health.” Given the widespread and systematic nature of these killings, and the evidence suggesting that they were part of a policy to use lethal force against largely unarmed protesters on political grounds, these killings most likely amount to crimes against humanity. The prohibition of crimes against humanity is among the most fundamental in international criminal law and can be the basis for individual criminal liability in international courts, as well as in domestic courts in many countries under the principle of universal jurisdiction. Since the events of July and August 2013, in addition to continuing to open fire on demonstrators, Egyptian authorities have engaged in repression in a scale unprecedented in recent years, including imposing extensive restrictions on freedom of association, expression, and assembly, carrying out mass arbitrary arrests and torture, depriving detainees, including at least 22,000 Muslim Brotherhood supporters, of basic due process rights, and handing down mass, long-term jail and death sentences to opponents. The government created an official fact-finding committee to investigate human rights abuses since June 30, 2013, and the quasi-official National Council on Human Rights in March 2014 separately released a report finding that security forces used excessive force in Rab’a. However, there has been no official accounting for what happened or any credible judicial investigations or prosecutions. The government has refused to acknowledge any wrongdoing on the part of security forces. Instead, it repaved the streets and rebuilt the damaged buildings, awarded bonuses to forces that participated in the dispersals, and erected a monument to honor the police and army in the center of Rab’a Square. Human Rights Watch has identified more than a dozen of the most senior leaders in the chain of command who should be investigated for their roles in these killings, including Interior Minister Ibrahim, then-Defense Minister and current President Abdel Fattah al-Sisi, and the Special Forces head and commander of the Rab’a operation, Medhat Menshawy. Where there is evidence of responsibility, these individuals should be held individually accountable for the planning and execution or failing to prevent the anticipated widespread and systematic killings of demonstrators. The United Nations Human Rights Council should establish an international commission of inquiry to investigate the mass killings of demonstrators since June 30, 2013. Criminal charges should also be brought against those implicated in these acts, including in courts that apply the principle of universal jurisdiction. States should further suspend military and law enforcement aid to Egypt until it adopts measures to end serious human rights violations.